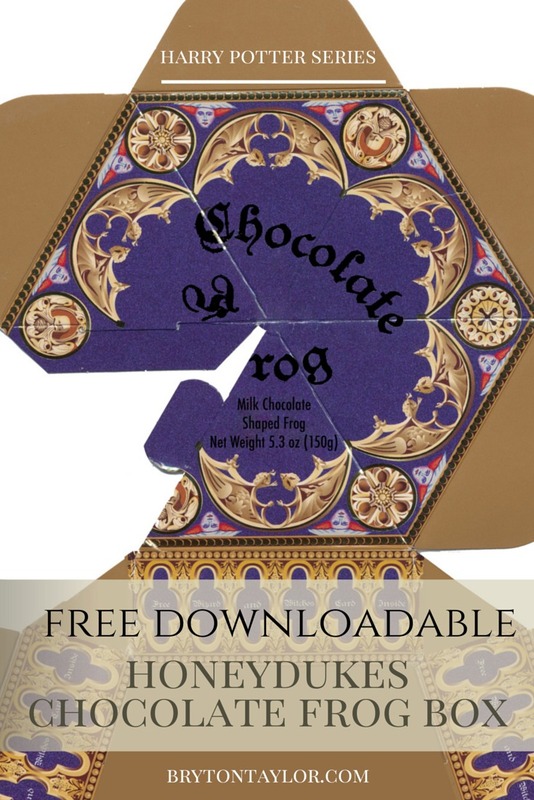 After a quick search around online to see if a Honeydukes Chocolate Frog box template was already available to print (none were quite what I wanted) I scanned the box I bought at The Wizarding World of Harry Potter and cleaned it up a bit (the bottom of the box I blanked out with the general colour.). When printed (I used glossy paper for a crisper finish) it looks exactly as I needed. On the original box the text is in gold, but it a) didn’t scan well with the reflection and b) didn’t print crisply enough. The box has been shrunk to fit A4 (international) paper but make sure you set your printer to A4 borderless, and print on glossy paper for a professional looking finish. It’ll fit a 7.5 by 5 cm frog nicely inside. The Harry Potter franchise, product names, logos, brands and other trademarks are the property of their respective trademark holders. They are not affiliated, and do not endorse, or sponsor this blog, BrytonTaylor.com. Love Harry Potter? There are so many posts and recipes to help you with your Harry Potter Hogwarts party! Thank you so much for doing this. Could you please send the box download to me as an attachment. I tried clicking on the above, but i guess I did something wrong. I’m not the most tech savy. Thank you so much for doing this. Could you please send the box download to me as an attachment. I tried clicking on the above, but i guess I did something wrong. I just stumbled across your website, and I’m so giddy about it! 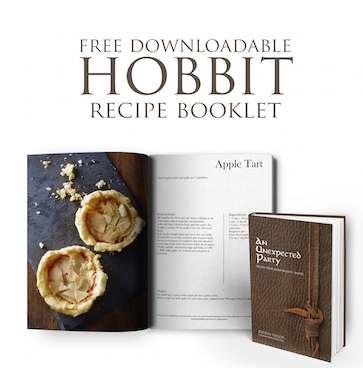 What a brilliant idea to make the food from books. I’m so excited to look at everything on here. Do you have a Pinterest and Facebook page. I don’t want to miss anything. This is amazing!!! I have been looking for this quality everywhere! Thank you so much! Do I need a pdf version of this or if I right click and save the photo will it print the way you are saying above? I wanted it cleaner, though- free from the scanned white lines that came from the creases. So I did what I could using some Photoshop *magic*. Hi please can you send me the chocolate frog template. Hi, I am also having trouble downloading the image, and my mac mouse doesn’t have a “right” button to click. Is it possible to have the image sent to me?